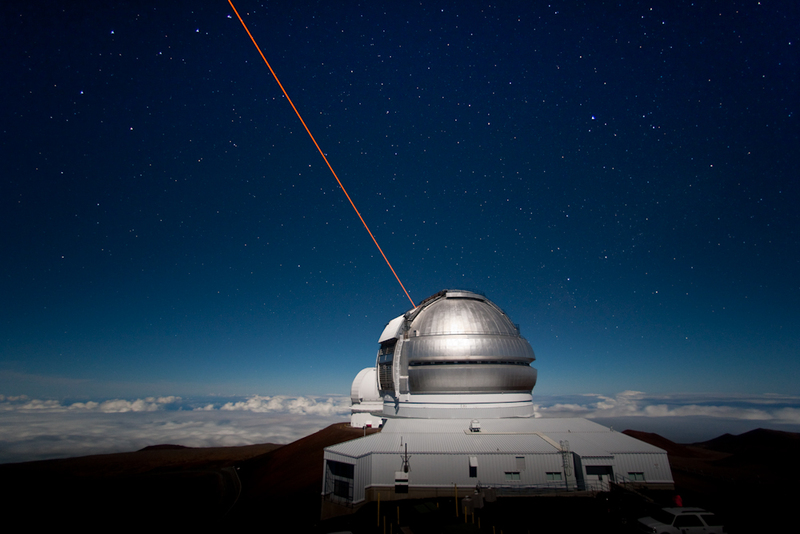 Nighttime image of the Gemini North Observatory, on the summit of Maunakea, during a Laser Guide Star (LGS) run, taken from the catwalk outside of the UH 2.2 meter telescope. LGS creates an “artificial star” which is used as a reference source for adaptive optics systems on Gemini instruments. The Canada-France-Hawaii Telescope (CFHT) is visible behind Gemini. This image was taken in preparation for two time-lapse movies which were recorded the following evening. Here are links to those movies: Stars and Laser Guide Star.